The visceral power of one of the most iconic bands in rock and roll first emerged in Aberdeen WA in the mid-1980s. In amongst the now revered and widely recognised band scene in Seattle, Nirvana stood out clearly with Geffen watching closely. Their post-Sub-Pop period signalled the arrival of Dave Grohl whose impact on their sound here is brutally apparent. 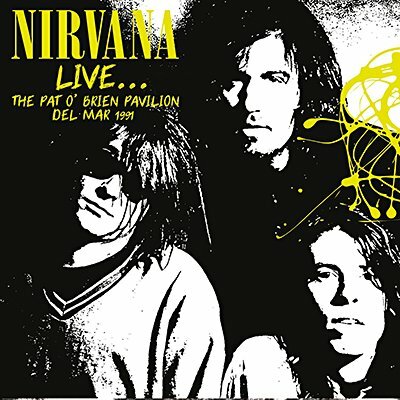 Their appearance on a triple-bill at Del Mar Fairgrounds in the Pat O'Brien Pavilion, San Diego, CA, finds Nirvana promoting their recently released Nevermind album, as guests of the Red Hot Chilli Peppers. Aside from being from their best period, this performance is the ultimate in 'classic' Nirvana. Interference very proudly presents the entire Syndicated FM Radio broadcast of Nirvana, live from the Pat O'Brien Pavilion at the Del Mar Fairgrounds, San Diego. CA, 28th December 1991. Professionally re-mastered original FM broadcast with background liners, interviews and rare archival photos.